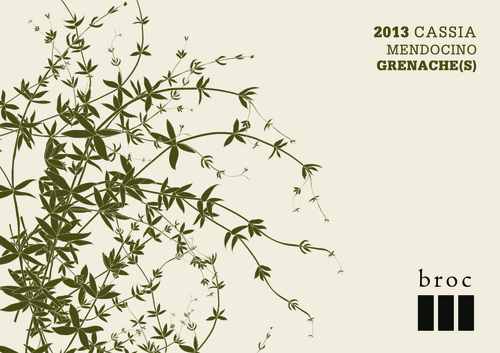 Chris Brockway’s Broc Cellars Winery is an unusual entry into the California wine scene. Housed in a small, old warehouse in a derelict (but recovering) section of Berkeley just off the 580 Freeway, it reeks of outsider and startup, which it is. Mr. Brockway casts a wide net to find grapes, often from odd little patches of unexpected varieties. He gets grenache, grenache blanc and cabernet franc from Santa Barbara County, and picpoul, a Mediterranean white grape, from Paso Robles. He finds zinfandel from Sonoma, carignan from the Alexander Valley and nero d’Avola and counoise, one of the 13 grapes permitted in Châteauneuf, from Mendocino. He buys valdigué, a grape once confused with gamay in California, from two sites in Solano County, and genuine gamay from the Umpqua Valley in Oregon. At harvest, grapes are picked in the cool of night, and then he drives them back to Berkeley in his flatbed truck. “I’m on the road so much, sometimes I feel more like a truck driver than a winemaker,” he said. Oh, and they have been written about at least three times in the New York Times, including a feature column by Eric Asimov in March 2014. This in addition to lots of local and regional coverage drew me to stop at the tasting room during a recent visit to the Bay Area. I was joined by a friend who was also in the area for a visit. The tasting room is part of a larger room that houses barrels, tanks and other equipment. There are other sections of the building and an outdoor area that included a few concrete wine tanks. The tasting room itself is nicely furnished and well laid out. The staff member there, Craig Willimas (Chris Brockway was not there that day), was very knowledgeable about wine and about the Broc products. He was also a raconteur, regaling us with stories about his life as a private chef and journeys to New Orleans that involved costumes from the San Francisco Opera Company. 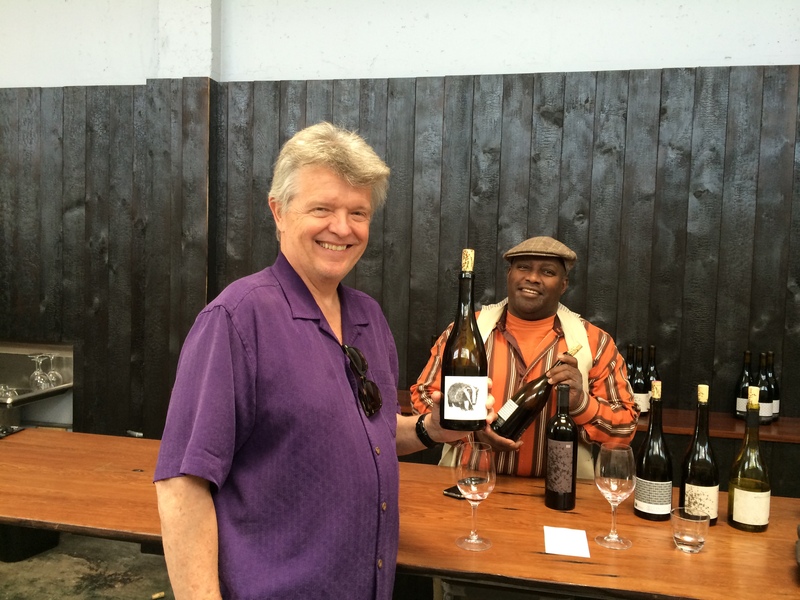 Jim Lockard at Broc Cellars Winery in Berkeley. We tasted six wines that day. Broc sources fruit from the Central Valley of California up to the Willamette Valley in Oregon. They tend to produce uncommon varietals, with the exception of their flagship 2009 Philary Syrah, their most expensive wine at $75. and the 2009 Philary Syrah ($75), which is not normally part of the tasting, but there was a bottle open, so . . . I enjoyed all of the wines with the exception of a Mouvedre that was not on the tasting list. The Philary Syrah was rich and big, but I didn’t think it was in the $75 class. I purchased three bottles: the Valdiguié, the Gamay Noir, and the Nero D’Avola. Today, Dorianne, a friend and I tasted the 2013 Cassia Grenache(s) rosé. After drinking a lot of rosé this summer, this wine is the best. Beautiful fruit on the nose, perfect blend of fruit and minerality on the tongue, with a smooth aftertaste. And only 12.5% alcohol. This may be the perfect summer wine. The conversation drifted to splitting a case. 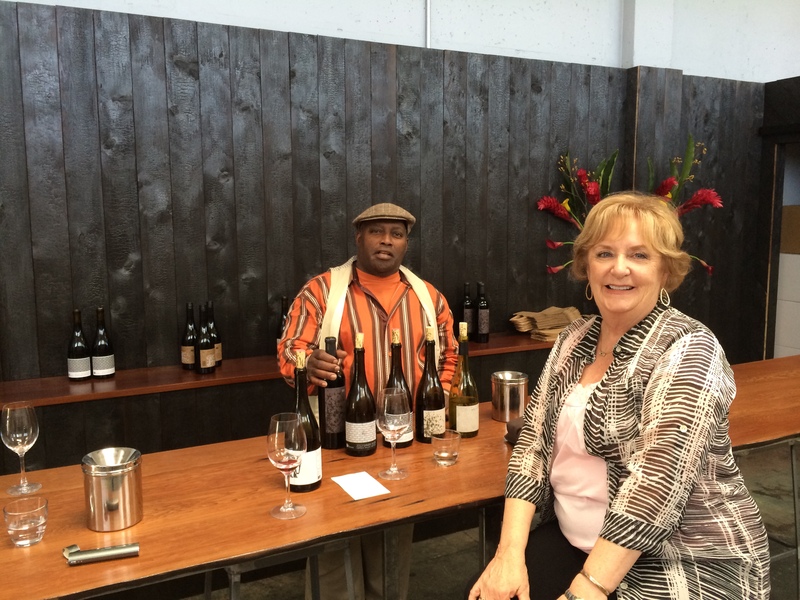 If you are in the Bay Area, Broc Cellars Winery is worth a visit. If not, order some of their wines from their website.